OK so you've probably heard by now about this growing controversy over New York Congressman Anthony Weiner and the infamous twitter picture of somebody's junk which was sent to some lady in Seattle. I didn't think this was much of a story upon first hearing about it but the media seems intent on keeping it going so now I suppose we have to give it a second look. 1. 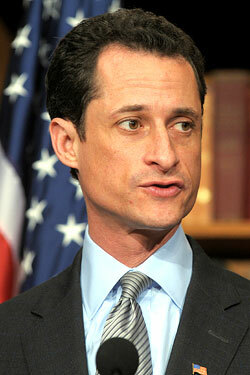 Weiner has been shucking and jiving on the question of whether the junk in the photo is, in fact, his junk. 2. Weiner has claimed he was hacked, which would be a crime, yet he has not called for an investigation. 4. Weiner does not know the woman in Seattle and the woman in Seattle has confirmed that she does not know Anthony Weiner. Rep. Anthony Weiner of New York said today he has engaged in "several inappropriate" electronic relationships with six women over three years, and that he publicly lied about a photo of himself sent over Twitter to a college student in Seattle over a week ago. "I take full responsibility for my actions," Weiner said. "The picture was of me, and I sent it." Did he do it or not? What would you do if you were hacked?